Cat-Ears are proven to be the most effective Wind Noise* reduction products of their kind (see chart). They have been independently tested, reviewed, and recommended by Bicycling and Outside Magazines. INTRODUCING our SMALLEST AirStreamz, based on our PileTech materials engineering, recommended for Club to Competitive Cyclists. Aero-acoustically developed, AirStreamz are made from soft pile materials that interact with oncoming wind (dampen / dissipate / deflect) - reducing the intensity of noise producing wind turbulence. 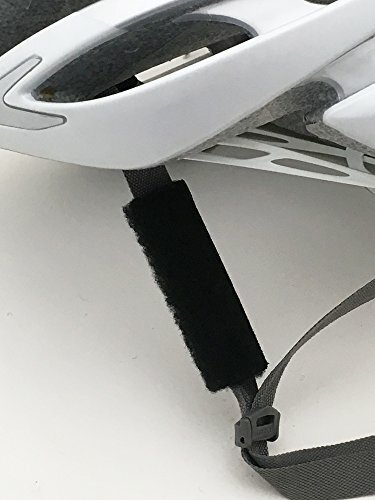 Cat-Ears products are sound permeable for safe road cycling. "Wind Noise can inhibit one's ability to distinguish traffic noise. Cat-Ears don't restrict hearing while others I've tried do." - Adventure Cycling Association. Designed with air 'flow through' porosity, Airstreamz wick away perspiration. NOTES: Please follow all the attachment instructions. Our aero-acoustic pile material reduces the most wind noise. Cat-Ears need to rest against the face for optimal performance.